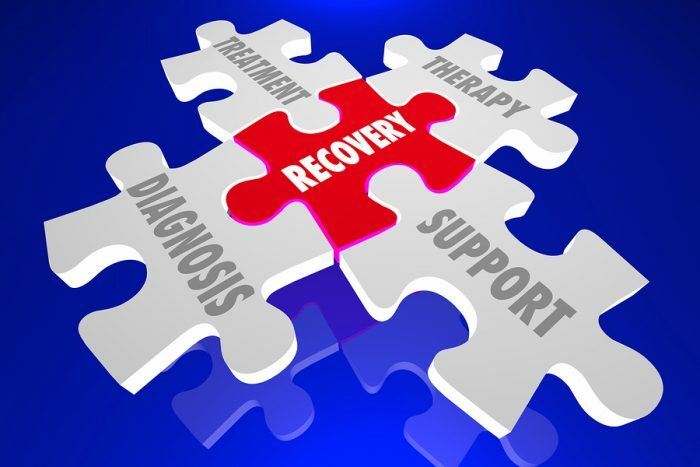 When someone is in recovery for addiction, there are many stages of change that they must go through in order to progress into a sober lifestyle. Recovery doesn’t happen all at once but occurs in different phases as the individual adjusts to new habits and ways of handling their emotions. The transtheoretical model of addiction outlines the various stages of change that patients typically go through until they are able to achieve sobriety. People can experience the stages of change for different durations and they may go back and forth between each phase instead of always progressing forward. Each patient also goes through their own unique issues during each phase and they will have different needs as they progress and move onto the next stage. However, being aware of what typically takes place during specific phases can give patients a general idea of the whole experience of recovery. The stages of change are thought to encompass 5 parts of recovery that take place from before quitting an addiction even starts to after rehab is complete. Every phase is important and represents a process that the individual goes through mentally, emotionally and physically as they prepare for their new sober lifestyle. Understanding the transtheoretical model can give you some insight into how certain issues in recovery will eventually resolve. Most versions of the transtheoretical model describe 5 specific stages of change that the individual will go through. The first stage occurs while they are still involved in addictive behavior and it is known as the precontemplation stage. Precontemplation Stage– During this stage, the individual is unaware of the risks or consequences of their substance abuse. They are not thinking about how their behavior affects others and they will resist anyone who tries to get them to change their addictive patterns. This stage can last any range of time until the person finally starts to feel the negative effects of their behavior. Contemplation Stage – In the second stage of change, the addict will begin to recognize that there are important reasons why they should quit abusing drugs or alcohol. They may start thinking about possibly quitting but still be afraid of the withdrawal symptoms they will experience and having to face the problems that led to their addiction. Many people use drugs as a way to escape mental health symptoms and they fear having to finally confront those issues. Preparation Stage – After going through the contemplation phase the individual will begin more seriously considering treatment. They will have spent some time weighing the pros and cons of quitting and will make the decision to get help. In this stage they will start taking concrete steps toward quitting their addiction such as seeing a therapist, going to support group meetings or enrolling in a treatment program. Action Stage – Once the addict is fully prepared to quit they will start making changes to their lifestyle and become active in working toward recovery. In this stage they are usually completely abstinent and are attending therapy sessions to try to modify their behavior. In the action phase they are starting confront some of the psychological issues that may be an underlying cause of their addiction. Maintenance Stage – After completing the duration of rehab, the person will move from the action stage into the maintenance stage. This means they are working to maintain their sobriety and are being careful to prevent relapse. They might attend an aftercare program or continue going to twelve step meetings to stay grounded in their sobriety. While the first stages of addiction recovery may last a few months or so, the maintenance stage is an indefinite amount of time. People in recovery need to use techniques and methods to maintain their sobriety and prevent relapse long after they have finished rehab. Managing an addiction is a lifelong task that may never truly end for someone who has an addictive personality. One of the things that can motivate someone to go through all the stages of change is something called “decisional balance”. This term refers to weighing the pros and cons of engaging in substance abuse versus being sober. The way that someone sees those pros and cons can change dramatically as they go through recovery. Their decisional balance in the first stage of recovery will make it seem like the cons of sobriety outweigh the pros. Once they are in the contemplation stage the pros and cons will seem about even. After the person has gone through every stage and are in the maintenance phase they will see much more pros to being sober and will need to continue seeing the pros in order to prevent relapse. Each person will experience addiction recovery differently but they will go through some length of time in each of the stages of the transtheoretical model until they are able to become completely sober.